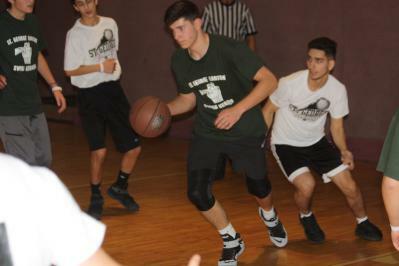 On January 19-21, 2018, St. George Church of Canton, Ohio hosted the 20th Annual Midwest Diocese Basketball Tournament. Twenty years ago, Canton's Teen SOYO initiated this tournament and it has grown over the years to become a mini-convention drawing youth from around the diocese. His Grace Bishop ANTHONY presided over the weekend, ordaining Deacon Anthony Westerman of Louisville, KY during Sunday's Hierarchical Divine Liturgy. Bishop ANTHONY also presented the Archdiocese Meritorious Service Award to Mrs. Sadie Kannam of Canton on behalf of His Eminence Metropolitan JOSEPH. Deacon Anthony presented a retreat on Friday evening titled "The Armor of God," tying in his own personal experience as a U.S. Marine who is now looking forward to become a future chaplain in the U.S. Navy. On Saturday, basketball games were held among three divisions with much excitement amid cheers and encouragement. Following Great Vespers on Saturday evening, Canton SOYO President Mareena Michael welcomed everyone to the Awards Banquet and Hafli that topped off a beautiful day of great sportsmanship and fellowship. 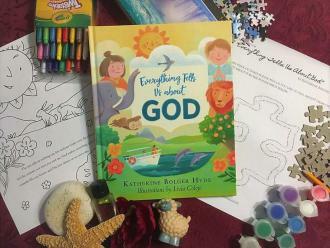 From the first glance, this beautiful book invites engagement. The cover sets the tone for the book: it creates an expectation for beauty, variety, and a joyful reveling in God’s generosity with His people. When the reader opens the book, the end paper catches their eye. It is a golden, nearly-completed puzzle. But why is that one piece missing? And what does this have to do with the title? Without reading a word, the reader is already curious and determined to know more! The book begins by telling the reader that the world is like a giant puzzle. God made this puzzle to tell us about Himself. He designed each piece - each part of the world - to help us learn some of His secrets. When we really look at the pieces, we can learn about Him through them! As we enter the heart of the Great Lent, the faithful of the Church are called to the remembrance of the Old Testament words, works, and teachings. They are of extreme importance if we seek to grow in our understanding of the Word Who became Incarnate. For He is the "I AM, the I AM" revealed to Moses in Exodus 3 – the divine Person named Jesus and called the Christ. Greetings from the Antiochian Women, and Welcome to Antiochian Women Month! The North American Board (“NAB”) of the Antiochian Women has an exciting array of information to share with you, both on the newly rolled-out Archdiocesan website and in your individual churches. •Materials for our 2018 NAB Project, “Strengthening the Ministries of our Church – Vocations,” including a letter from His Eminence Metropolitan JOSEPH, our Project poster (in various sizes/formats), and a message to be read by a woman to your congregation. •The NAB Scholarship Coordinator’s Cover Letter and Grant Application. I am writing to update you on the Antiochian Women's Common "Act of Mercy" for 2018. Since last year's Act of Mercy was such a great success, we will continue our partnership with FOCUS North America once again. As a reminder, our Act of Mercy is entitled, "FOCUS ON LOVE, Feeding Hungry Children," which provides food for undernourished children in the United States. FOCUS has created a link as well as additional information to help with its efforts. There is a direct link for the Antiochian Women on the FOCUS website. There, you will find an informational video about where our efforts are going and the children we are helping. I have also attached a pamphlet on how FOCUS serves impoverished children; a small, printable postcard about the Act of Mercy; and, lastly, a page with instructions on how to make a donation. Donations may be made online at the link provided above or via a check mailed directly to FOCUS. Local chapters are also encouraged to hold a fundraiser to promote our Act of Mercy. I would also ask each Diocesan Humanitarian Coordinator to compile a report of the contributions from each church in her respective Diocese, and forward it to me no later than June 30 so that we may present the final figures at our NAB Summer Meeting. I would respectfully ask that you distribute this information to all of your local chapters as soon as possible. St. 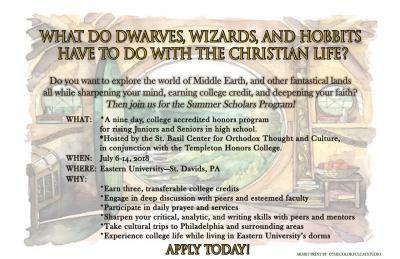 Basil Center for Orthodox Thought and Culture at Eastern University invites juniors and seniors in high school to apply for The Summer Program for Young Orthodox Scholars (SPYOS). SPYOS provides promising high school and transfer students the opportunity to earn college credit while challenging themselves intellectually and spiritually. Program dates are July 6-14, 2018. For more information or to apply visit the website. 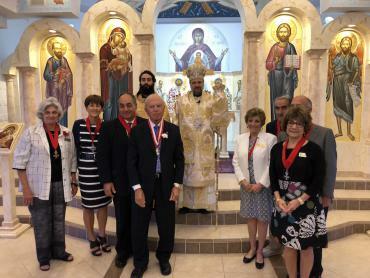 During the weekend of February 10, 2018, the St. Paul Antiochian Orthodox Church community in Naples, FL was infused with a tremendous energy through the visitation of their shepherd in Christ, His Grace Bishop NICHOLAS. This episcopal visit was Sayidna’s first to St. Paul as Diocesan Bishop, making it a fitting time to officially welcome him, while commemorating the founding of our lovely parish twenty-one years ago. On Saturday, immediately upon his arrival, Sayidna spent several hours meeting with parishioners, our Antiochian Women, and the Parish council. The St. Paul community then gathered for a prayerful Great Vespers service and closed the day with a very enjoyable dinner together. Greetings in the Name of our Lord, God and Savior Jesus Christ. We pray this letter finds you well at the start of our Lenten journey. Wednesday, February 28, 2018 will mark a new beginning, a relaunch, for the Archdiocesan website: www.antiochian.org. It will have a much cleaner look and feel, and it is now friendlier for mobile devices for faster access to its wealth of materials, news and resources. 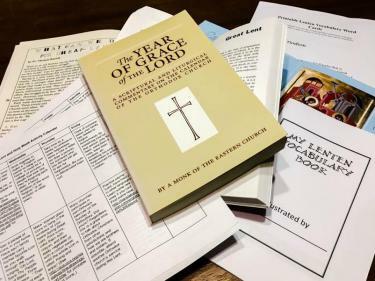 Without doubt, the most-accessed resource on the website is the Online Liturgical Guide, which provides weekly – and sometimes daily – word-for-word texts for the divine services, along with imbedded hyperlinks to corresponding sheet music. The OLG is now part of something bigger and better: a liturgical calendar that also features daily readings and listings of saints, as well as fasting guidelines and the popular spiritual “Thought for the Day” from the Church Fathers and our own Metropolitan JOSEPH. The Daily Liturgical Texts of the OLG now appear, as available, on the liturgical calendar. Accessing all of these resources takes just a few simple steps. The St. George Cathedral parish community is celebrating its Centennial in 2018. 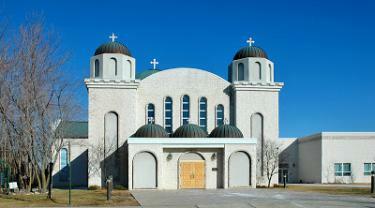 Although the community had its beginning with the arrival of Orthodox Lebanese to Wichita in 1895, it was 1918 before the community would have a church home. On April 5 of that year, several trustees of the newly forming parish concluded the purchase of a small clapboard church at 218 Handley St. from the Episcopal Diocese of Kansas. St. George Church was born! Throughout this Centennial Year, our community is commemorating the history of our parish and the people who have been a part of it. As we do so, we are not only looking to the past, but to our future – the next 100 years! The highlight of this auspicious year will be our Centennial Celebration on the weekend of May 5-6. Metropolitan JOSEPH plans to join us, and he and Bishop BASIL will serve the Hierarchical Divine Liturgy on Sunday, May 6. The Celebration will conclude with a festal banquet that evening. Please see the enclosed flyer. 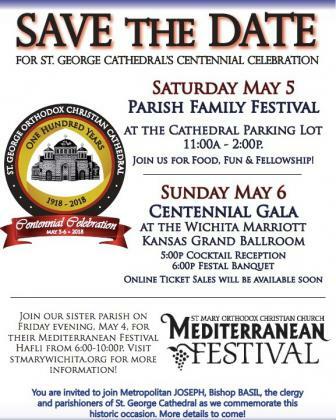 St. George Cathedral belongs not only to its congregation, but to all of us in the Diocese of Wichita and Mid-America. Thus it is our pleasure to invite you to join us for this joyous occasion. Please publicize the event to your congregation; reservation information will be forthcoming. Plan now to celebrate with us! In response to questions that have been raised recently, His Eminence Metropolitan JOSEPH reaffirms the long-standing policy of the Antiochian Archdiocese, which is in accordance with the practice of the Orthodox Patriarchate of Antioch and All the East, regarding the reception of converts to the Faith. To be clear, Holy Baptism in the Name of the Holy Trinity, followed by Holy Chrismation, is the normative means by which one is initiated into the Holy Church. When receiving those coming into Holy Orthodoxy from religious confessions who profess a belief in the Holy Trinity and baptize with water in the Name of Father, and of Son, and of the Holy Spirit, the Church from ancient times has done so through means of Holy Chrismation or a profession of the Faith – depending on the circumstances. In other words, when baptism is necessary, there is a baptism. When Chrismation is necessary there is a Chrismation. When a profession of the Faith is necessary, there is a profession of the Faith. When questions arise requiring discernment as to how a person is to be received into the Church, a priest must consult with the local bishop. 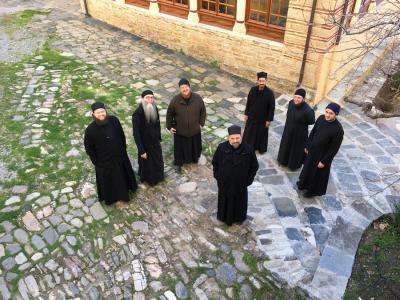 In the summer of 2018, His Eminence Metropolitan JOSEPH will be leading a pilgrimage to Orthodox Thessaloniki, Kosovo, and Serbia. Titled "Spiritual Awakening," the trip is slated for June 14–26, 2018, with a registration deadline of March 15. Traveling through holy lands with a hierarch at the head of the trip often opens "the pearly gates" through unplanned and grace-filled opportunities unique to this type of adventure. The pilgrimage has been especially created for young adults and professionals aged 21–35. The trip will be limited to 30 people and will include a few clergy. Baptized Orthodox Christians of any jurisdiction may participate, especially those who are interested in exploring Orthodox history, art, architecture, and music, all within the fellowship of the Church. Young adults who enjoy networking with peers abroad and have an interest in humanitarian opportunities will enjoy this life-changing opportunity. Pilgrims will enjoy all that these holy lands have to offer in an intense schedule of touring that will also still leave time for fun. The itinerary includes time for services, prayer, exploration, relaxation, and building bonds with other Orthodox professionals. Register today to receive a detailed itinerary! 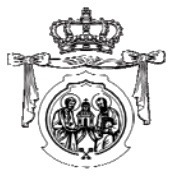 In response to numerous unnamed sources spreading confusion over the internet, His Eminence Metropolitan JOSEPH reaffirms the long-standing policy of the Antiochian Archdiocese, which is in accordance with the practice of the Orthodox Patriarchate of Antioch and All the East, regarding the reception of converts to the Faith. To be clear, Holy Baptism in the Name of the Holy Trinity, followed by Holy Chrismation, is the normative means by which one is initiated into the Holy Church. When receiving those coming into Holy Orthodoxy from religious confessions who profess a belief in the Holy Trinity and baptize with water in the Name of Father, and of Son, and of the Holy Spirit, the Church from ancient times has done so through means of Holy Chrismation or a profession of the Faith – depending on the circumstances. When questions arise requiring discernment as to how a person is to be received into the Church, a priest must consult with his local bishop. His Eminence reaffirmed this practice recently during a clergy seminar for the Diocese of Los Angeles and the West, where he has continued to be the local bishop since his election as Metropolitan. In this capacity, His Eminence made clear that he is the point of reference for such questions for the clergy in attendance. This Sunday marks what we call in our Holy Orthodox Church Cheese Fare Sunday or Forgiveness Sunday, before we enter into our Great Fast. There are a variety of fasts, but our church subscribes fasting from meat and dairy until Easter Sunday. This week the nation also celebrates the Feast of Love, Valentine’s Day. Everyone wants to be in love, but does nothing about it. This Sunday’s Gospel of St. Matthew, 6:14 states “If you forgive others for their trespasses, our heavenly Father will also forgive yours.” This is a commandment and not a suggestion, because Great Lent is a period of reflection of how we are loved by God and how we should love God in return. Love has everything to do with forgiveness, with respect, with loyalty, and commitment through times of sadness and happiness. Therefore, this kind of love is more than a feeling. 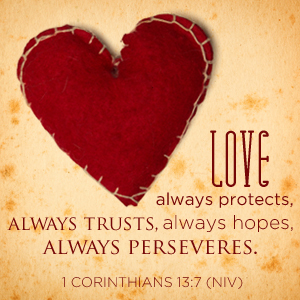 The love of Christ is unconditional and when we love one another in an unconditional fashion, we are emulating Christ. 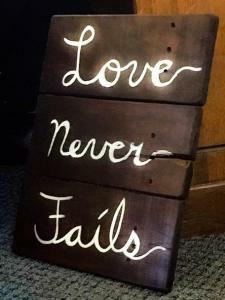 It is easy to be in love when things are good, but the real test is to be loving when you are down and out. This series of blog posts will offer basic information and resources regarding the liturgical year. It is our hope that Sunday Church School teachers will find this series helpful as they live the liturgical year with their students. The series will follow the church year in sections, as divided in the book The Year of Grace of the Lord: a Scriptural and Liturgical Commentary on the Calendar of the Orthodox Church by a monk of the Eastern Church. May God bless His Church throughout this year! 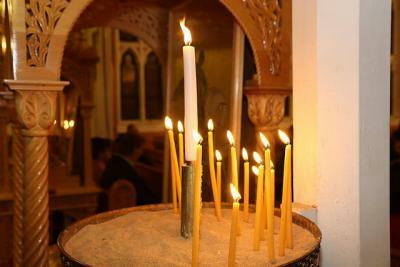 Great Lent consists of the 40 days leading to Holy Week, which, in turn, immediately precedes Pascha. Since its early days, Great Lent has been observed as a time of penitence, spiritual growth, and illumination. Although it is a time of great spiritual struggle, it is also a time of deep joy for Orthodox Christians, as we prepare our hearts to experience Christ's Passion and Resurrection. In the contemporary worldview, nothing is so prized as progress and change. They are so highly regarded that calls for change and progress are even heard within our one, holy, catholic, and apostolic Church. Those who call for progress and change within the Church often demand change for change sake so that the world will be more comfortable with the Church. These demands often include that the Orthodox Church modify or completely abandon the traditional fasting periods, shorten the divine services, and become more "open" and accommodating on moral issues such as marriage, gender identity, and human rights. These winds of change and progress are undoubtedly a result of contemporary man's embrace of Enlightenment thinking in which man replaces God as the ultimate arbiter of truth and human life. Yet, our Christian Tradition tells us that such notions are fundamentally flawed. The flaws concern two fundamental misconceptions of Sacred Tradition and the ascetical and mystical character of the Christian life. The Western Rite Vicariate has gathered many materials to help Orthodox and non-Orthodox alike learn more about the Western Rite in the Orthodox Church. Our Archdiocese has a rich heritage of reaching out to people of all backgrounds and in various ways responding to Christ's command to bring the Gospel to all nations. 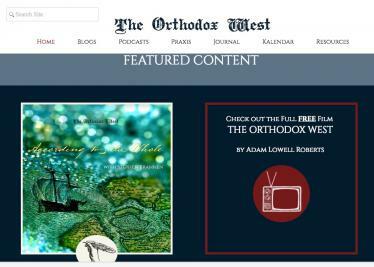 These materials, which include a documentary film about the Western Rite, blogs, and other resources, are available at The Orthodox West. Bishop ANTHONY is pleased to announce this year's Clergy Retreat and Spring Gathering, hosted by St. George Church in Troy, Michigan, April 20–22, 2018. All clergy are expected to attend Thursday evening's session with His Grace. Delegates and other parish representatives will meet Friday, April 20 and Saturday, April 21. Please see the attached forms for a schedule of events, hotel information, and a registration form. The faithful of Houston, Texas were blessed to receive His Eminence Metropolitan JOSEPH during the week of January 24–31, 2018, to celebrate the 90th Anniversary of St. George Orthodox Christian Church. Deanery clergy welcomed Sayyidna JOSEPH and Deacon John El Massih at the airport. Then on Thursday evening, His Eminence had dinner and spent the evening with the St. George parish council. At the dinner, attendees were blessed to hear Sayyidna's visions and inspired by his words of wisdom. The community was delighted that Archdiocese Vice-Chairman Fawaz El Khoury and CFO Salim Abboud accompanied Sayyidna as well. A brand new resource is coming out just in time for Great Lent! 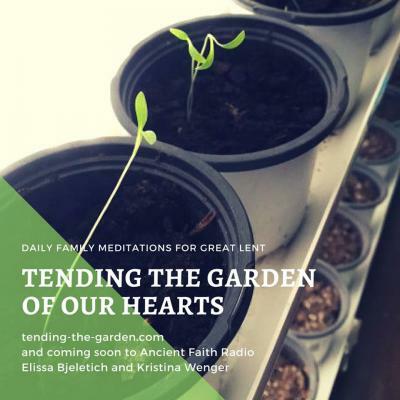 Author and podcaster Elissa D. Bjeletich and Orthodox Christian Parenting's Kristina Wenger have teamed up to create this blog and podcast. Find the initial blog post, which includes three creative ideas for a "Lenten Countdown" at the blog site, tending-the-garden.com! Remember to subscribe, so that as Lent begins, you can access daily printable meditations related to the themes of Great Lent. The meditations will also be available as podcasts from Ancient Faith, so your family can read them OR listen! Share photos of your family's "Lenten Countdown" on Facebook or Instagram, with #tendingthegarden , #orthodoxlent and/or #orthodoxfamily. May the Lord bless you and your family as you prepare for this wonderful, holy season of Lent! Yazen Ziad Fakhouri, a second-year seminarian at St. Tikhon's Seminary in South Canaan, PA, joined five other seminarians on a pilgrimage to Mt. Athos led by His Grace Bishop NICHOLAS from December 2017 to January 2018. Yazen's hometown is suburban Detroit, Michigan, and his home parish is St. George Orthodox Church, with The Very Reverend Joseph Antypas. Yazen's report describes this life-changing experience. Ring finger meets thumb while index, middle, and pinky are elevated in imperfect symmetry. A single hand with fingers positioned to represent the Holy Trinity and the dual natures of Christ move north to south, west to east conferring a millennia old blessing consistent with Holy Tradition. The recipient of this blessing was a stray dog weaving between an interminable sea of people queuing to board a ship to the holiest of mountains. In her enduring wisdom and love for mankind, the Church provides us with a period of preparation before we enter Great Lent. 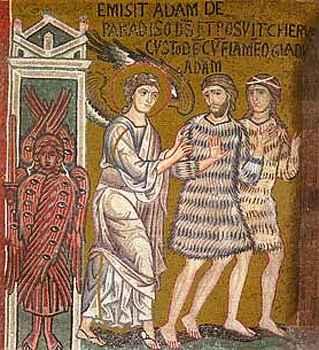 We have passed through the Sundays of Zacchaeus, the Publican and the Pharisee, the Last Judgment, and now finally with today - the Sunday which commemorates the expulsion of Adam from Paradise. Who is this Son of Mary in the Waters of the Jordan? In January, we celebrate the Baptism of Jesus by John the Baptist in the River Jordan. Last month, we began to explore what Jesus – our Christ – came to reveal and remind us, through His Incarnation. Our hope is to help develope a deeper sense of this divine Son, coming forth from the womb of Mary – the One Who is the Child and the Immanuel. To help us understand Who Jesus is – the Incarnate Word – let us seek the wisdom of Isaiah. Prophet Isaiah is often referred to as an Old Testament Evangelist, whose words were inspired by the Spirit of the Lord. Here we discover the Virgin Mary, the dynamic reality of her Son being both her Child and the Immanuel, and our Father – Isaiah 7:14. It helps bring fulness to the mystery of His Baptism. That Jesus is not a human person, but instead a divine Person. That He reveals Himself to be both Son of Man through Mary and Son of His eternal Father, and further, the Son of Mary is from in the beginning, our Father. As we approach Valentine’s Day and see reminders of love everywhere around us, the opportunity arises for us to evaluate how well we are loving others. It is one thing to say that we love someone, but often quite another thing to act in such a way as to show them that our words are true. However, even God Himself is demonstrative with His love: “...God demonstrates His own love toward us, in that while we were still sinners, Christ died for us.” (Romans 5:8) If God, who IS Love, chooses to demonstrate His love, how much more should we, who are not in essence love, do our best to do the same? 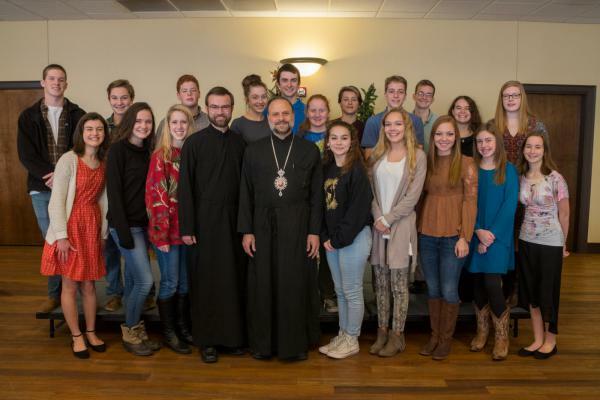 On the weekend of December 15–17, 2017, His Grace Bishop NICHOLAS made his first-ever visit to the parish of St. Ignatius in Franklin, TN. Among the many highlights from that weekend were the meetings between His Grace and the youth of St. Ignatius, the ordination of Brian Short to the rank of subdeacon, the consecration of the Altar, as well as the induction of six new members to the Order of St. Ignatius of Antioch. We eagerly look forward to His Grace's next visit. May God grant him many years as our new shepherd in the Diocese of Miami and the Southeast! The report "Orthodox Christian Churches in 21st Century America: a Parish Life Study" has been released by the Assembly of Canonical Orthodox Bishops of the USA. 580 Orthodox parishes (about 30% of all U.S. Orthodox parishes) participated in this unique study. Five Orthodox jurisdictions had a significant number of participating parishes: the American Carpatho-Russian Orthodox Diocese, the Antiochian Orthodox Christian Archdiocese, the Greek Orthodox Archdiocese, the Orthodox Church in America, and the Serbian Orthodox Church.